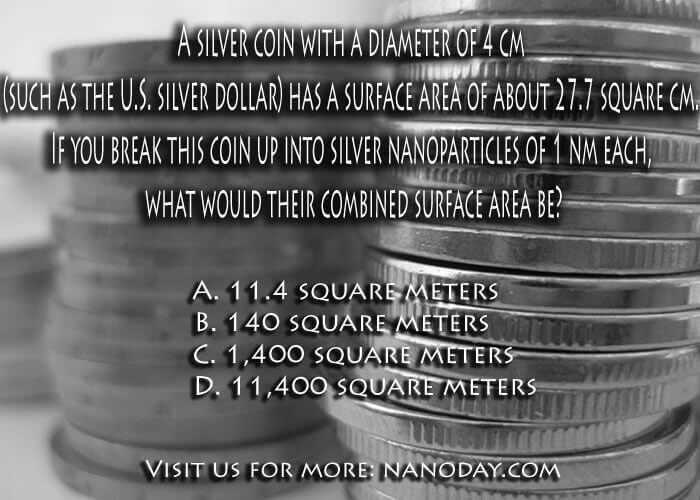 A silver coin with a diameter of 4 cm (such as the U.S. silver dollar) has a surface area of about 27.7 square cm. If you break this coin up into silver nanoparticles of 1 nm each, what would their combined surface area be? If you are genius answer it , in the comment box.